Join Jim Gifford, KM4MPF as Net Control and get in on the fun! This Net is an open Net and is not affiliated with any club. All properly licensed HAMs are welcomed and encouraged to join us! We usually have between 40 and 60 check-ins, and our goal in 2019 is to grow that to 70+! The Chattanooga Sunday Night Net generally follows the schedule below, but at times we do move things around to accommodate something. 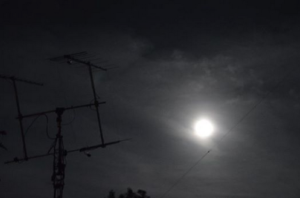 The Net is held every Sunday evening beginning at 2000 (8pm eastern time) on the K4VCM 146.790 repeater, which is located high atop Signal Mountain in Chattanooga, TN (no tone is required, this is a Fusion repeater and does transmit 107.2 TSQL). You can also join us via Echolink on K4VCM-R, node 79190, additionally you can listen in (listen only) on Broadcastify. Don’t forget to follow along online using NetLogger, download it at the link to the left. It’s free and is available for Mac, Linux and Windows (desktops/laptops only, no tablets yet)! Hop on and follow the logging, see who’s on… and who’s not, plus join in on the conversations taking place in the “Almost Instant Messenger” (AIM) window, lot’s of interesting conversations usually taking place. Once you have NetLogger up and running, look for “SundayNightNet org E LINK 79190”. For more information or questions, send an email to question@sundaynightnet.org. Check out our picture gallery, we’re putting some pictures up here. If you have pictures you want to share with us, please contact Emmett Perdue (W4EDP), Jim Gifford (KM4MPF) or Terri Perdue (N9ZEN). Think you’ve fallen into the ‘HT trap’? Think again! That small little radio is capable of more than you think. Amazing how technology has progressed into such a tiny package! Whether you want to see how far your HT can reach on a hilltop, or you want to fire up that base station rig with a 10 element 2m Yagi. Let’s keep the airwaves warm for this event. I’ll be headed out to some high spot here in the Chattanooga area. But you can participate in this event from the comfort of your own shack. Just get on 2m FM Simplex & make some noise! I also encourage the use of the National Simplex frequency for this event… just leave enough time between transmissions for other folks to get in just in case. That’s what the frequency is for – use it! 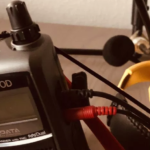 The airwaves are quite busy at times, and we may have to switch frequencies a few times to make some QSOs due to the number of folks on 146.520 for this event. But please, don’t let anyone run you off this frequency.